PITTSBURGH, April 4, 2018 /PRNewswire/ -- Thousands of tiny, wide-eyed faces will light up this year as a result of the $5 million alliance between the PNC Foundation and DonorsChoose.org, which is entering its second year of providing new resources to Head Start and public pre-K classrooms across the PNC footprint. The effort provides much-needed educational supplies and experiences to help prepare young children for success in school and life. "PNC recognizes that providing high-quality early education for all children helps prepare the workforce and community leaders of tomorrow. And yet, too many teachers struggle to access classroom resources to help them provide high quality educational experiences for their students," said PNC Chairman, President and Chief Executive Officer William S. Demchak. "This year we'll build on the relationship we established with DonorsChoose.org last year by honoring successful teachers and continuing to support local efforts that give pre-K teachers engaging materials to enrich young minds." The PNC Foundation will start the 2018 funding cycle with four initiatives. Match Funding: From now through May 31, 2018 PNC will match, dollar-for-dollar, donations that support public pre-K and Head Start teachers' project requests in the PNC service area listed on DonorsChoose.org, subject to restrictions and a maximum dollar amount. 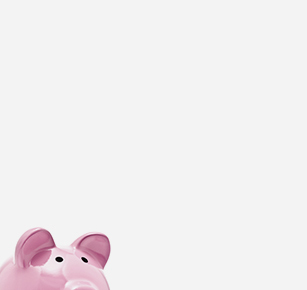 The duration of the match campaign depends on the number of project requests and donations. For specific guidelines on the match offer, visit DonorsChoose.org. Teacher Gift Cards: Today, every teacher who submitted a pre-K project request in the PNC footprint on DonorsChoose.org since April 4, 2017 received a $100 electronic gift card, distributed through DonorsChoose.org. More than 3,700 public pre-K and Head Start teachers received the funds to support new projects on DonorsChoose.org. Spotlight: One outstanding early education teacher in each of PNC's markets will be honored as a Teacher Hero for their efforts and involvement in the PNC/DonorsChoose.org alliance. Each Teacher Hero will receive a $2,000 gift card to fund a project in her or his classroom and a second $2,000 gift card to help seed other pre-K projects listed on DonorsChoose.org. PNC Volunteer Gift Cards: All PNC employees who volunteered for Grow Up Great in 2017 (approximately 17,000) will receive a $50 electronic gift card to support pre-K project requests on DonorsChoose.org. "Though teachers often spend their own money on classroom supplies, they still need many more resources to provide a well-rounded, high-quality learning experience," said Yasmina S. Vinci, executive director, National Head Start Association. "NHSA is grateful to our partners at PNC and DonorsChoose.org for supporting Head Start's efforts to provide a window of opportunity for America's most vulnerable children and families." With the additional resources obtained through the successful alliance, Chicago pre-K teacher Denise Lopez-Gill has assisted children with a variety of academic, emotional and social needs. "Because of these efforts, we can introduce our children to more activities and opportunities to learn more skills," Lopez-Gill said. "The supplies that I have received have transformed our classroom environment." The alliance builds on its 2017 momentum, in which PNC contributed $2.2 million to support pre-K projects listed on DonorsChoose.org. The campaign enabled 244,000 children across the 21 states and District of Columbia where PNC operates to receive new classroom materials and educational opportunities. More than 7,500 pre-K classroom projects benefited from the PNC grant, which was made in support of PNC Grow Up Great®, an early childhood education initiative. Not only is providing high-quality pre-K education the right thing to do, it makes good economic sense. Studies have shown that high-quality preschool education better prepares children to achieve in school and strive for higher vocational aspirations, and that it has a positive impact on society. For every dollar spent on high-quality early education for at-risk children, society gains as much as $13 in long-term savings. "PNC and DonorsChoose.org understand how hard preschool and Head Start teachers work to bring learning to life every day," said Charles Best, DonorsChoose.org founder and CEO. "We're so excited to work with PNC again to support even more public school pre-K and Head Start teachers and students, and enhance their classroom experiences. The PNC Foundation's alliance with DonorsChoose.org makes it easy for the public to support preschool classrooms. Donors who give to qualifying projects will have their gifts matched by PNC and see exactly how their dollars are being put to use by teachers and students. 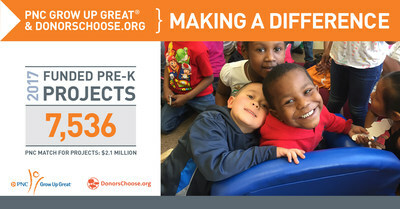 Teachers and donors should visit www.PNCGrowUpGreat.com/donorschoose for more information. 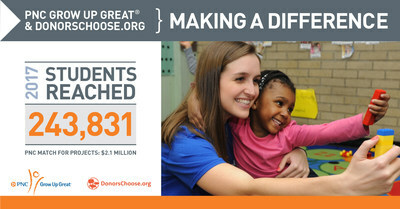 Founded in 2000 by a Bronx history teacher, DonorsChoose.org has raised more than $645 million for America's classrooms. Teachers come to DonorsChoose.org to request the materials and experiences they need most for their classrooms, and donors give to the projects that inspire them. More than 3 million people and partners have funded over 1 million projects on the site, reaching 27 million students and making DonorsChoose.org the leading platform for supporting U.S. public schools. DonorsChoose.org is the only crowd funding platform that vets each request, delivers materials directly to schools, and captures the impact of every funded project with photos, thank yous, and a cost report showing how each dollar was spent. In 2014, DonorsChoose.org made the top 10 of Fast Company's list of the World's Most Innovative Companies, the first time a charity has received such recognition. 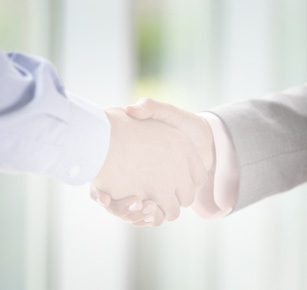 The PNC Foundation, which receives its principal funding from The PNC Financial Services Group (www.pnc.com), actively supports organizations that provide services for the benefit of communities in which it has a significant presence. The foundation focuses its philanthropic mission on early childhood education and community and economic development, which includes the arts and culture. Through PNC Grow Up Great®, its signature cause that began in 2004, PNC has created a bilingual $350 million, multi-year initiative to help prepare children from birth to age 5 for success in school and life. For more information, please visit www.pncgrowupgreat.com.